The recipe for toothpaste was found on an ancient Egyptian papyrus. This toothpaste was a mixture of rock salt, dried iris flower and pepper ground up and combined together. In 1855, a recipe for toothpaste was printed in the Farmer’s Almanac. The recipe called for myrrh, honey, and green sage. This was to be used on wet teeth each night. 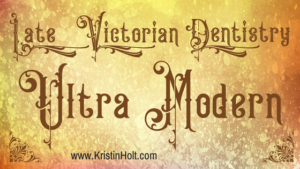 An alternate recipe called for cream of tartar mixed with clover oil and cuttlefish bone. Tooth powders for use with toothbrushes came into general use in the 19th century in Britain. Most were homemade, with chalk, pulverized brick, or salt as ingredients. An 1866 Home Encyclopedia recommended pulverized charcoal, and cautioned that many patented tooth powders that were commercially marketed did more harm than good. In 1873, Colgate debuted a nice-smelling toothpaste and sold it in a glass jar. Dr. Sheffield made his own dental cream in his office, added mint extracts to it so as to improve the flavor, and used it on his patients who expressed their liking for it. The first advertisement published for Dr. Sheffield’s Crème Angelique Dentifrice (the first commercial toothpaste) toothpaste appeared in the New London Telegram on March 12, 1881. In 1896, Colgate & Company Dental Cream was packaged in collapsible tubes imitating Sheffield. 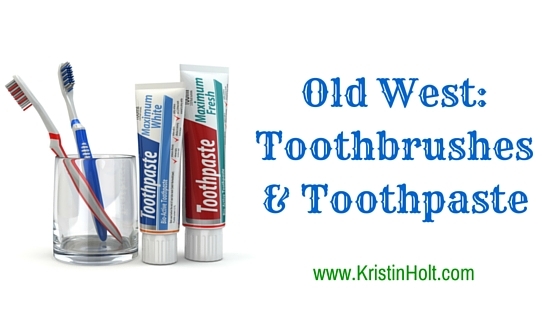 The original collapsible toothpaste tubes were made of lead. Those living in the comparatively rural American West often concocted homemade recipes for tooth powder or used simple staples such as baking soda (sodium bicarbonate), a mild abrasive. It has a mild whitening action and helps to keep an alkaline environment (not friendly for dental plaque bacteria) in the mouth. Toothbrushes were made from natural bristles (from the neck of a hog) until the 20th century. Handles were made from cattle bone, silver (like Napoleon Bonaparte’s), or carved from wood (including bamboo). In 1844, the first 3-row bristle brush was designed. The first American to patent a toothbrush was H. N. Wadsworth, (patent number 18,653,) on Nov. 7, 1857. 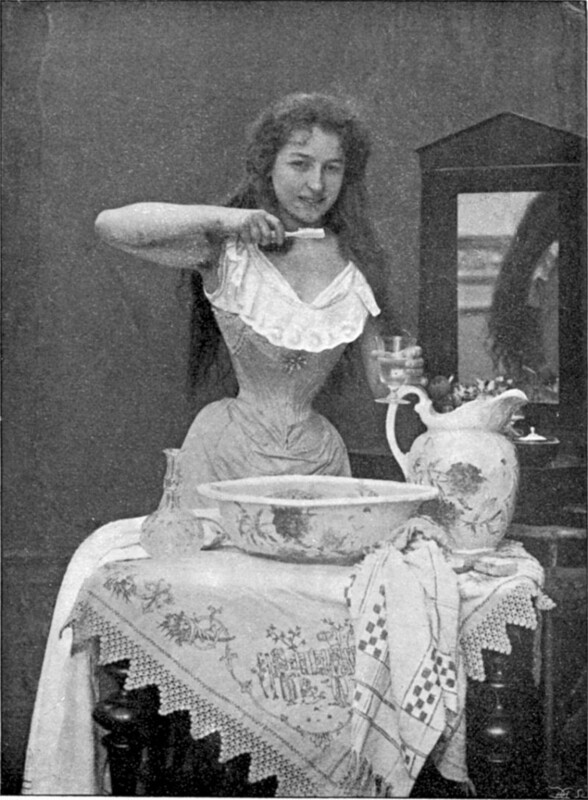 Mass production of toothbrushes began in America around 1885–95 years after mass production of toothbrushes in England. 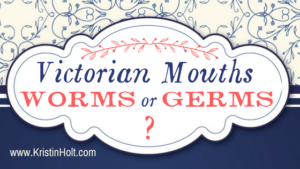 DID WESTERN HISTORICAL ROMANCE CHARACTERS BRUSH THEIR TEETH? Given oral hygiene implements were most certainly available, at least at the General Store, I would hope so. We read of heroes finding the heroine’s nearness pleasant and agreeable and the fresh taste of the hero’s kiss… so it stands to reason fictional characters, at least, employed excellent oral hygiene. Brick Powder!!! Green Sage!!!! Ewww. I know the Ewww is beneath me but…EWWWW. I agree! Double-Ewwww! 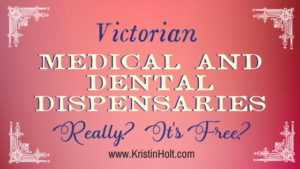 I’m glad for effective, pleasant, affordable oral hygiene products. I’m pretty sure only the more sophisticated people use the tooth products. The cowhands and such were too busy to bother with cleaning their teeth. Especially when they were chewing on tobacco. Great post! 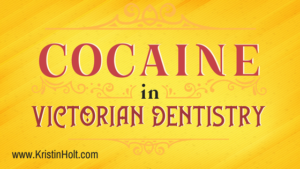 I’ve mentioned my heroines using tooth powder a couple of times in my books.